I love when fathers come to their newborn’s first visit to the doctor. When I say, “Congratulations on your new baby!” their faces break into a wide smile. Fresh, excited, supportive, and proud. But, new fathers sometimes express that they are unsure of their role. The maternal role is well-defined in early months- especially for breastfeeding mothers. A father’s role is often less clear and takes navigation. But, as I tell these new dads, the research tells us that it is no less important. Simply by their supportive presence, fathers make a difference. Numerous studies have shown, for example, that the presence of a supportive father can lead to longer duration of breastfeeding for the mother:infant pair. Preterm infants in intensive care have better growth if their fathers visit frequently. The benefits of a father’s presence continue on as a child grows. Kids with an involved father attain higher education levels. Kids with healthy dads tend to be healthier themselves. Growing up, I was lucky to have a father who was truly present. I fondly remember fishing outings, and building forts, and Dad’s cooking “experiments”. More than anything, I remember him being there for us and loving us. His presence and the feeling of security that it provided have surely benefited me in innumerable ways. Now I watch, with joy, the bond that my husband and our son share. “Papi time” means special books, and jokes, and songs. It means going to a certain park. In our house, it even means having their own special language (my son speaks Spanish with his dad and English with me). Papi time means cuddling and bear hugs and tickles. Our son basks in the glow of his father’s attention. He clearly adores his Papi. I am grateful for the love and care that my husband gives to a little guy that so looks up to him. It is a relationship that is essential for our son’s well-being. My message today is simple. Father’s Day is important. Fathers are important. In our society I don’t think we say this enough. Today let’s honor and thank the men in our lives who are truly there for their children and, in doing so, enrich their lives in ways beyond what we can express with words. 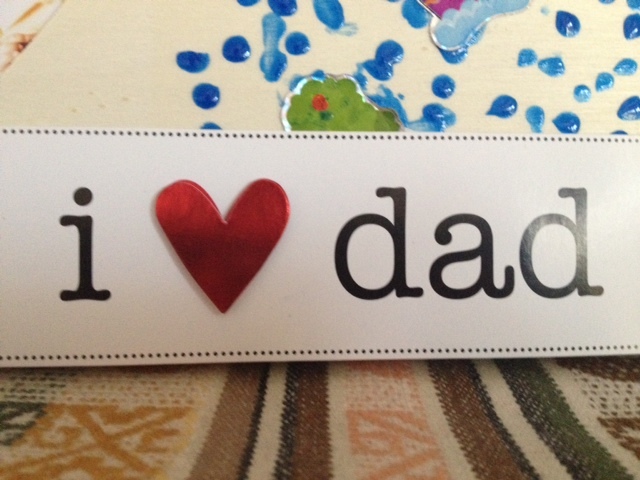 This entry was posted in Parenting and tagged Father's Day, Healthy Dads, Healthy Kids study, importance of fathers by My Two Hats. Bookmark the permalink. Really beautiful! I passed it on to a friend and her husband who are expecting their first in mid-August. Yesterday was both Father’s Day and their anniversary. This was a sweet encouragement to them. As your Dad it was great to be part of your life and share the excitement and wonder in your eyes during the fishing trips.But i most enjoyed the time spent reading books and the great conversations with a daughter that was able to express her feelings and beliefs so well. I am very proud to be your Dad.